Catch me at the first ever Terra Incognita Reading on Thursday! 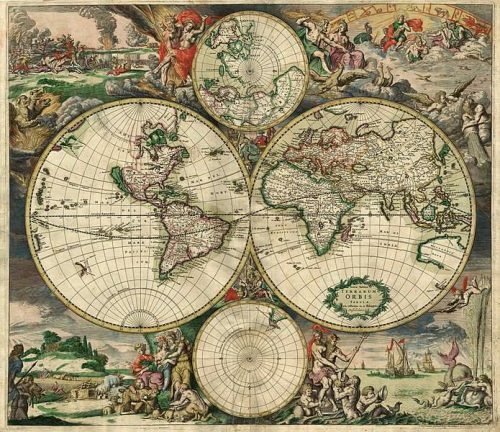 Join me on Thursday, 1/25/18 at 7 pm at the Octopus Literary Salon for a brand-new Bay Area reading series: Terra Incognita! 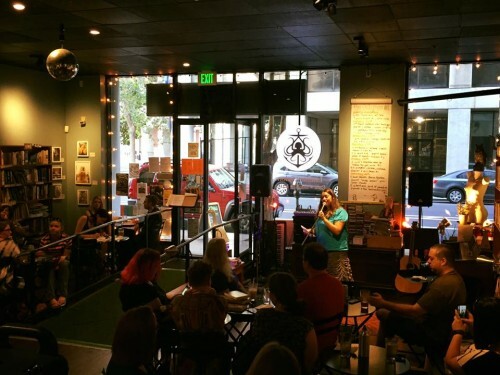 Sponsored by the Escapery, a Bay Area organization offering adventures for artists and writers of all levels, Terra Incognita is a genre fiction-based reading series that showcases Bay Area authors. Each month, a different genre or hybrid genre will be represented, ideally including a range of authors of varying skills and publication history. And the first month’s theme is Speculative Fiction! That, of course, is fortunate for me, being a speculative fiction writer. I’ve met Terra Incognita’s host, Haldane King, a few times, and I’m thrilled to be a part of his new reading series, especially as genre fiction is underrepresented on the literary scene at large. Though I must say, I’ve always been warmly welcomed when reading horror, fantasy, or science fiction anywhere I’ve gone in the East Bay and San Francisco. Thus, I’m mostly excited we’ll have one more outlet of creative genre expression for us all. Nick Mamatas, J Curtis, Jackie Haudek, Samuel Walsh, and myself will be the inaugural Terra Incognita readers. Enticements include a free drawing for Nomadic Press poetry chapbooks, and the great refreshments at the Octopus. Donations are welcome, and I’ll have copies of Wings Unseen for sale. If you’d like, sign up at the Facebook event. Or just show up! I hope to see you there. Last time I read at the Octopus Literary Salon. I’m Literally Reading 10/24 at Flywheel Press’s Literally Series! Woosh! That was my schedule zooming by too fast for me to keep up with it. Thus, I haven’t had time to give my next reading much promotion, but there’s still time! Barely. Tomorrow night, Tuesday 10/24, I’ll be reading at the Literally series at the Shop at Flywheel Press in San Mateo at 7:00 pm along with author Peter Carroll. Flywheel Press is an art and design center in San Mateo that has fostered a unique creative space in many different forms: as a letterpress studio, a co-working space for artists, a First Fridays destination, an art gallery, and a provider of classes for kids and adults. Join me Friday, 10/20, for the Speculative Fiction Cantina Livestream and an At the Inkwell Reading! I’m going to be busy this Friday promoting my fiction, through two different mediums! You, of course, are invited to join in. First, S. Evan Townsend will interview me at 3 pm PST for the Speculative Fiction Cantina Livestream and Podcast show. Second, I’ll be reading for the At the Inkwell Flash Fiction Night, which takes place at Alley Cat Books in San Francisco at 7 pm. 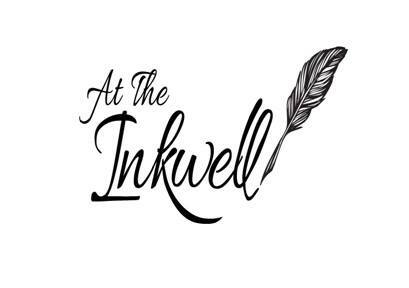 This is the second time I’ll have read with At the Inkwell, which is a national organization dedicated to helping writers get more exposure through reviews and reading series. The Alley Cat Books space is one of the best I’ve been to for literary readings, and I’m excited for flash fiction to be the chosen topic – it’ll give me a break from reading book excerpts! I’ll likely be sharing “What Scattered in the Wind,” which is published in Little Letters on the Skin, and some Halloween-themed micro-fiction I’ve been working on. If there’s time, perhaps “Hobgoblin” will also make an appearance at the mic. More info on the event is here: LINKY LINK. 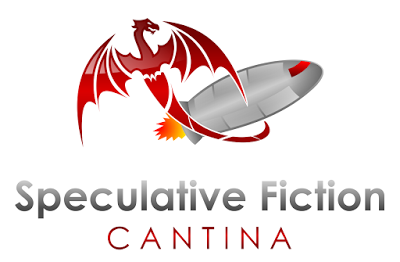 I would love to see you at Alley Cat Books or know you’ve tuned in to the Speculative Fiction Cantina this Friday! 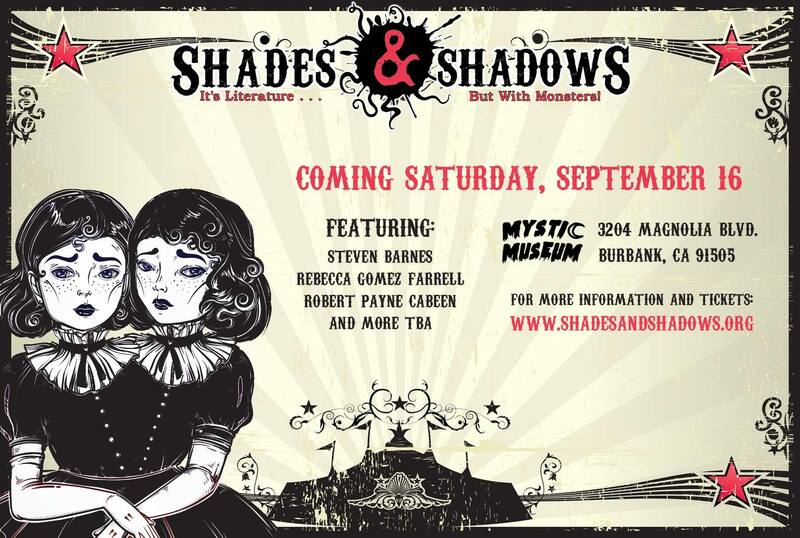 Reading at Shades & Shadows in Los Angeles 9/16! $10 entry fee. Tickets here. Click here if you’d like to RSVP at the Facebook event! Dark fiction, you ask? But isn’t your fantasy novel YA? 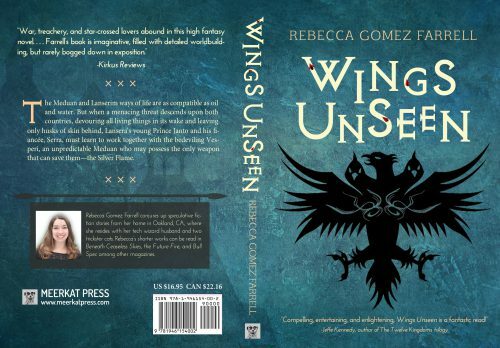 Well, as many of the reviews can tell you, Wings Unseen is quite a bit darker than some readers expect for YA! I did pitch it as having elements of horror, for both the creatures contained within it and the horrific power struggle in Medua. Believe me, there is plenty of darkness to draw from in the worlds of Lansera and Medua. Now will I go dark horror, dark magic, or darkened halls for my selection? You’ll have to come to find out! This is my one and only SoCal stop on my book tour, so I do hope you’ll make it. If not, stay tuned for the podcast release of the evening’s festivities….which may take a while — the Shades & Shadows crew is about a year behind in podcast production. So you’re best bet is to show up! I hope to see you there. 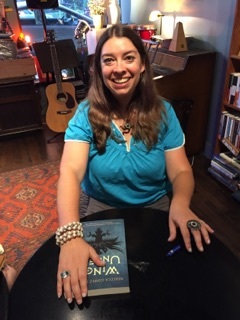 Bay Area Readings 9/2 and 9/10! 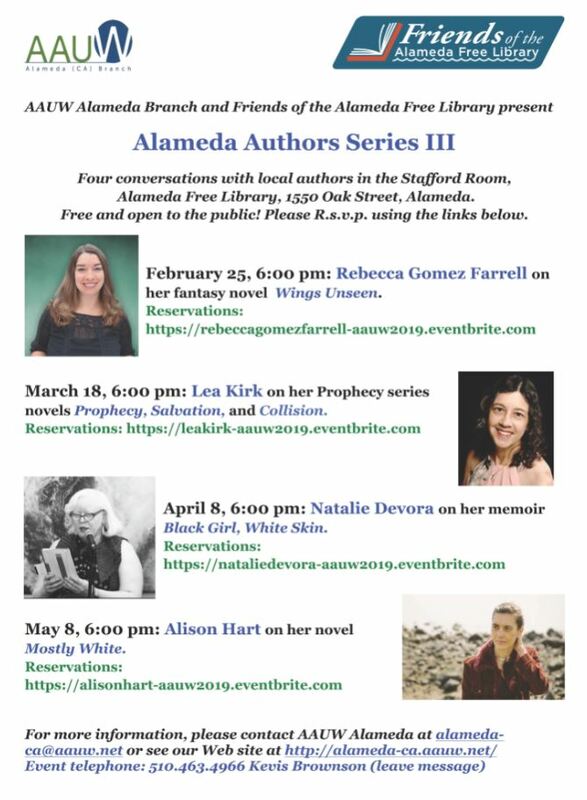 I have two more Bay Area readings coming up in the next two weeks! Which means two more opportunities for locals to come hear a little more about Wings Unseen and get me to sign your book – it’s a harmless experience, I promise! 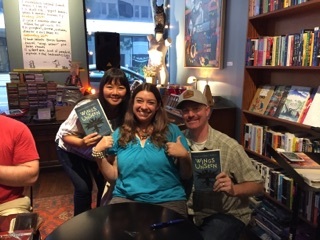 What: The East Bay Science Fiction and Fantasy Writers Meetup Group has been going strong since 2011! 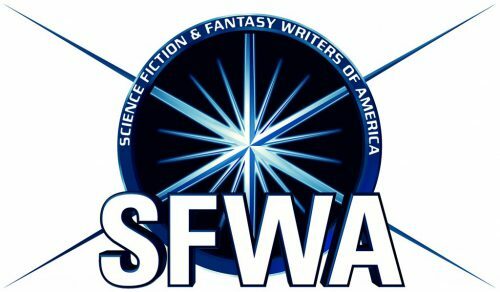 This critique group for speculative fiction writers of all adult ages and career stages has provided input for a great number of talented writers over the years. A great collection of talent has come through this group, and we thought it’d be nice to spotlight a few of them finding success as featured readers while also giving current members the chance to read their works in a supportive setting for perhaps the first time in the form of an open mic. We will have three featured readers: Rebecca Gomez Farrell, Andrew Roberts, and Tantra Bensko. 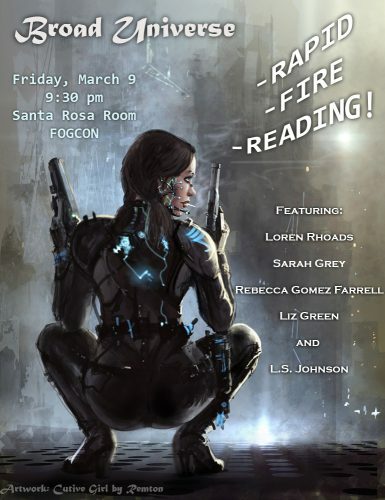 Afterward, the reading will transition to an open mic for authors of speculative fiction to share excerpts of their works of up to 600 words, or 5 minutes of reading time. All proceeds benefit the American Bookbinders Museum. I hope to see you at either, or both, events! More info coming on LA and NC stops soon…. I would absolutely love it if you would rate and/or review the book after reading as well – ratings are life for authors! We all know we are swayed by them. 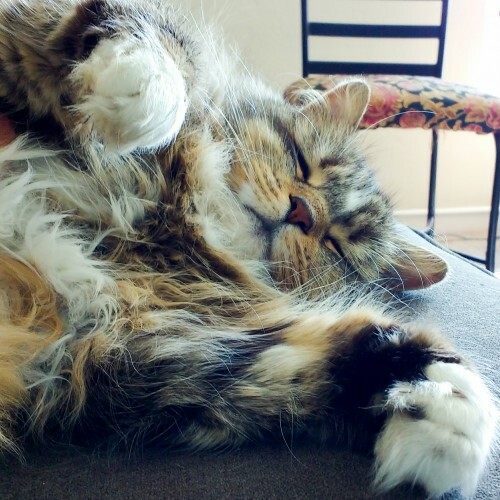 😉 So a big virtual hug from Mazu for those of you able to do so. Ah, elementary school storytelling. I was so precocious. 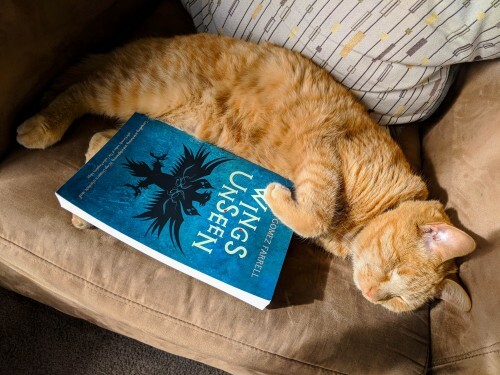 You can also follow the Wings Unseen Blog Tour–full of interviews, guest posts, excerpts, and reviews of Wings Unseen from book blogs–over the next three weeks! Find the full schedule of tour stops here at the Xpresso Books tour page. Thank you for your support, dear readers, and I hope to see you in the world of Lansera soon! The Map for Wings Unseen is Released! 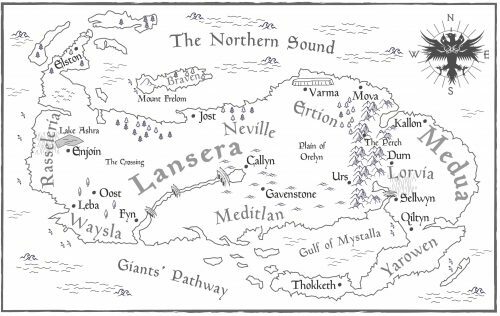 The first time Wings Unseen, my debut epic fantasy novel, got a map was out of desperation. I simply could not keep my own world-building straight without a visual to look at, and my artistic abilities are HORRIBLE, so I forced my husband to draw me one. Ben is a software developer and designer, so he can sneeze and create something pleasing to look at – the closest I can get is taking snapshots of artwork already in existence. Want to dive into that map? Pre-order Wings Unseen today! Less than three weeks until it’s out!